Take advantage of fifty of the most important strategy and management models to clearly visualize your business concept with high-quality charts and diagrams. Every company needs strategies and concepts to secure its long-term competitive position on the market. Strategy models enable management to vividly communicate plans and measures and initiate the problem-solving process. A presentation that visualizes these actions is particularly useful. 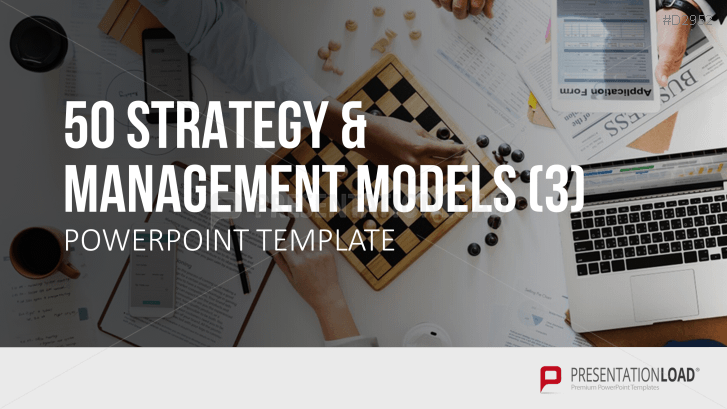 This PowerPoint template contains a collection of internationally established strategy and management models. It contains charts and diagrams of both traditional and modern analysis methods, accompanied by an explanation. All models can be adapted to your presentation’s corporate design.